Weeee! Liese is now in the Philippines! There were a lot of squeals from my friends as a lot of them are so excited to finally have Liese here. 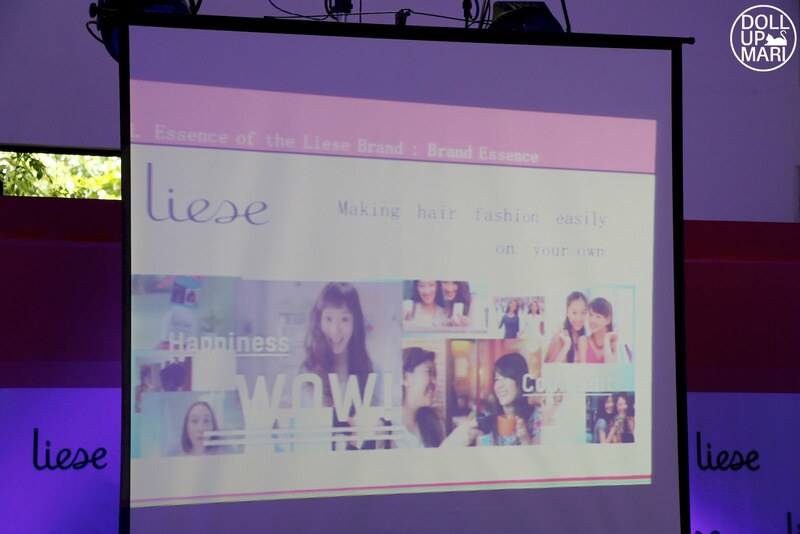 So for you guys who are hearing about this for the first time, Liese is a hair brand by Japanese giant Kao that makes hair color and hair treatments and sprays. 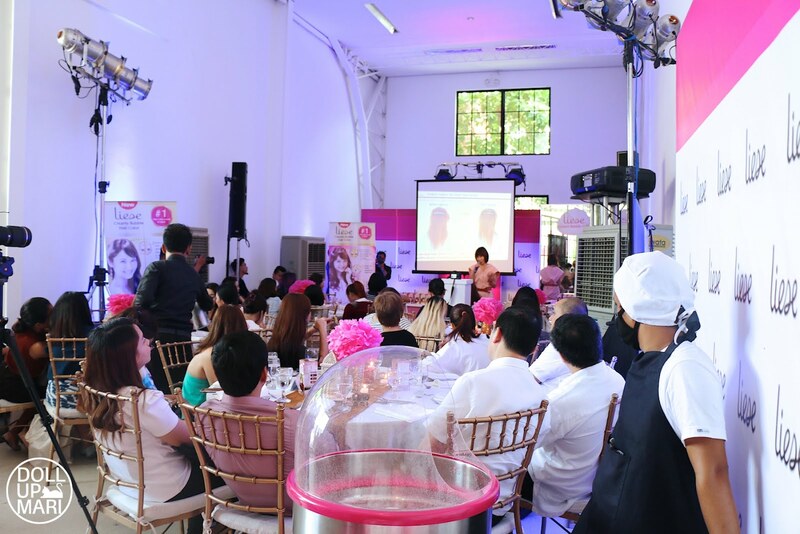 This event marks the launch of the entry of their hair dye products to the Philippines. There are different reasons why girls in East Asia love Liese hair color. Some love the brand because it's affordable relative to competitors. I have friends who like it because they have waist length hair and can get away with using just one box of this per dye session. I also have friends who like it because their hair is evenly dyed every time. And then there are some who like it because it is easy to use and can be used even without someone looking at the back of your head. I've used this brand three times already in the past two years. For me, I personally like it because the colors get onto the hair very vividly and for my chemically resistant hair, this is a godsend. 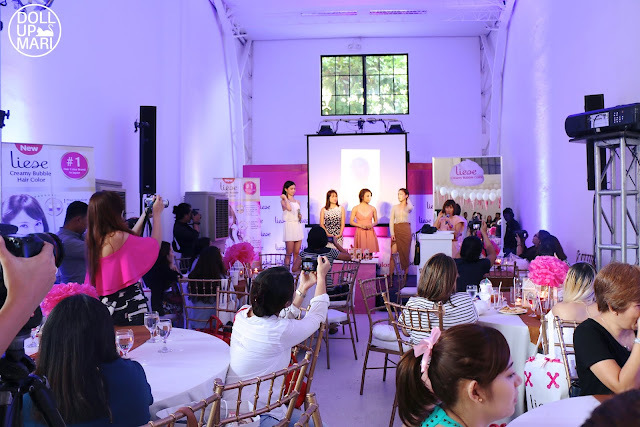 So they held their event at Whitespace. It's my first time to go here and I never thought the actual event venue was intimate! I thought it'd be SMX gigantic levels hahaha. Today's host is Laura Lehmann, First Runner Up of BB. Pilipinas 2014. She's just the same age as I am so it means she still has a lot of time to re-join pageants! I'm so excited for her. 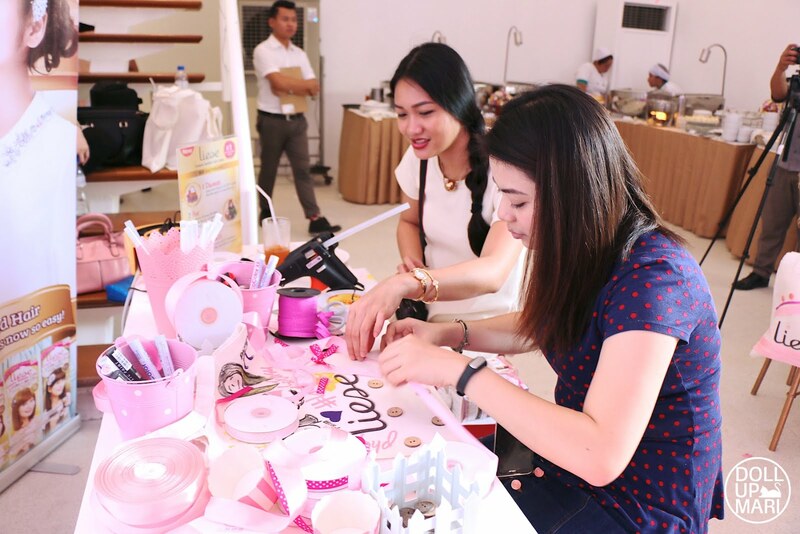 And that also kinda makes her the right kind of event host because she is the epitome of someone who's busy yet needs to look her best. 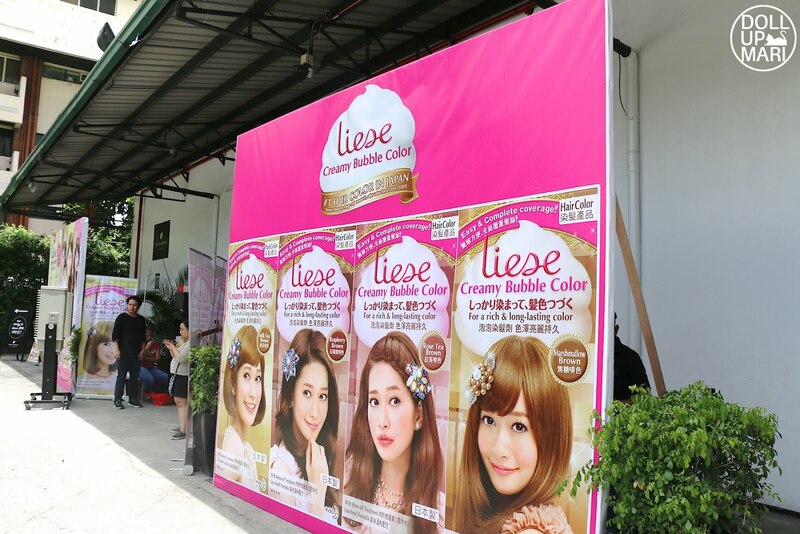 That's the kind of girl Liese hair color is for. 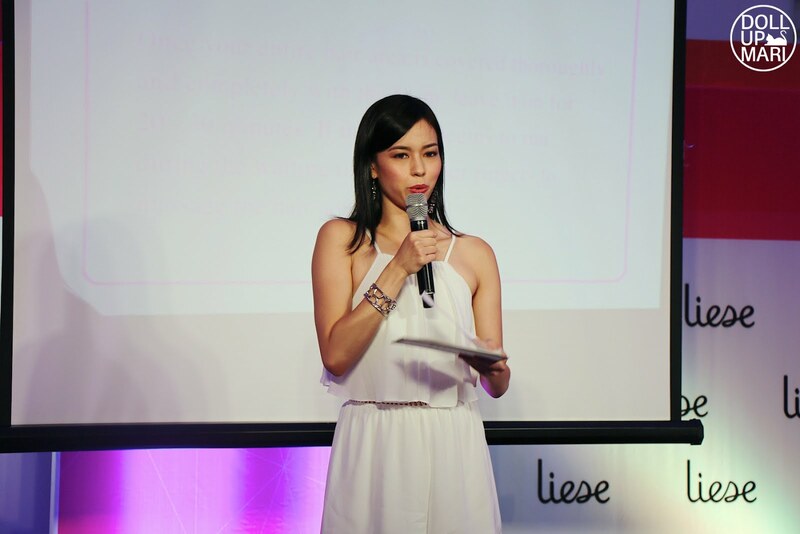 They now have their ultimate hair expert slash overlord slash goddess, Miss Christabel Low, ASEAN Manager for Skincare/ Haircare Business of Kao Singapore go up on stage and give a short talk about Kao and Liese. 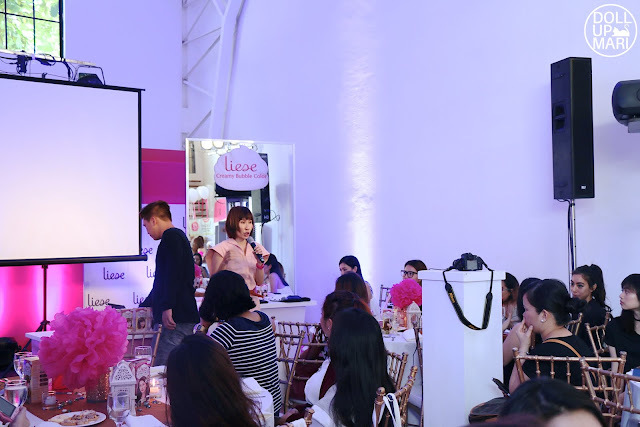 She is the ultimate expert in hair color and throughout the day she was helping bloggers and members of the press alike find the best fitting hair colors for them. In her opening remarks she was so excited and delighted that there were so many people with colored hair in the audience. 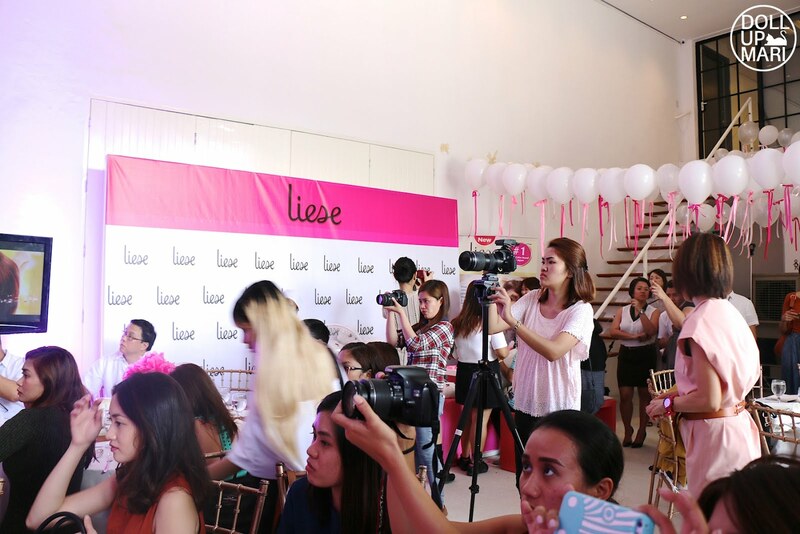 There was a healthy supply of blondes and mermaid heads and crazy balayage heads that day, which is why she knew that Liese will surely be a big hit amongst Pinays. 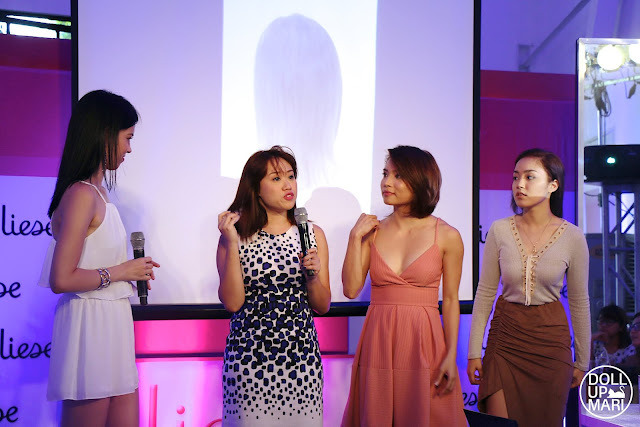 I know that people in Manila have all the salons to get their hair done in, but if you sum it up, the rates can get very steep, and to keep on doing retouches every so often can really leave a dent on the budget. 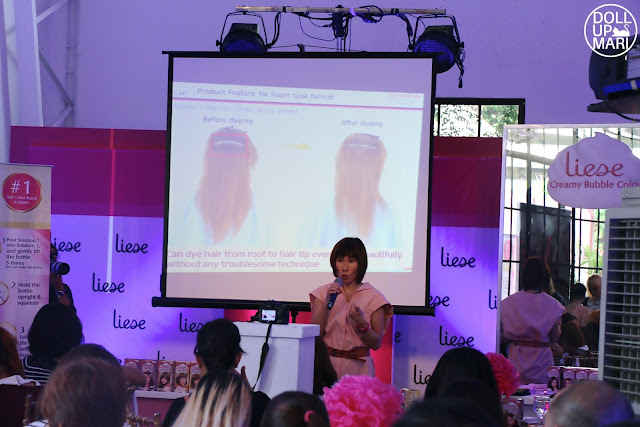 Plus, I have learned that for a lot of provincial consumers, there aren't a lot of salons and it's the boxed hair dyes like these that get them modern looking hair even without trips to the salon. This is why this will be the ultimate secret friend of Pinays to looking hip without even looking like they're trying. Kao is a Japanese giant who is behind a lot of brands that people know, but just don't know that they're under Kao. 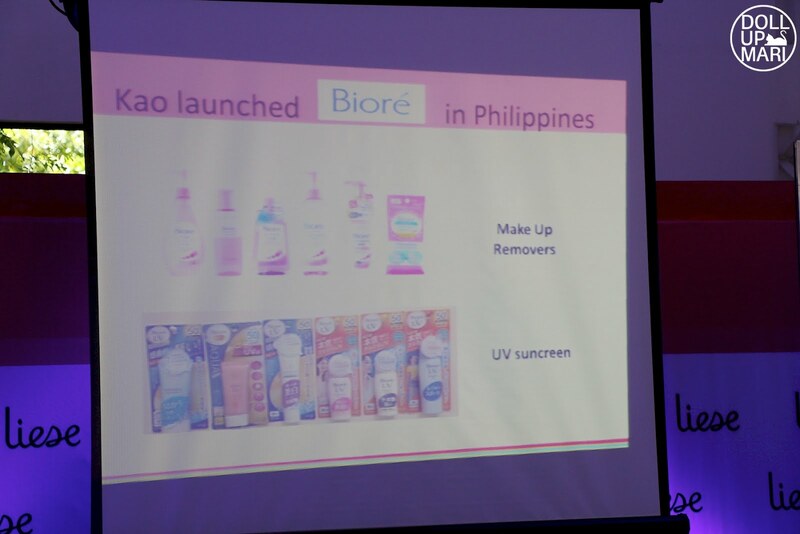 For one, they have Bioré. But other than that, they also have Asience, Essential, Curel, among others. Liese is all about making hair fashion easily on your own. This explains why they have hair moisturizing oils and hair straightening sprays, hair mousse, hairspray, amongst other styling products. 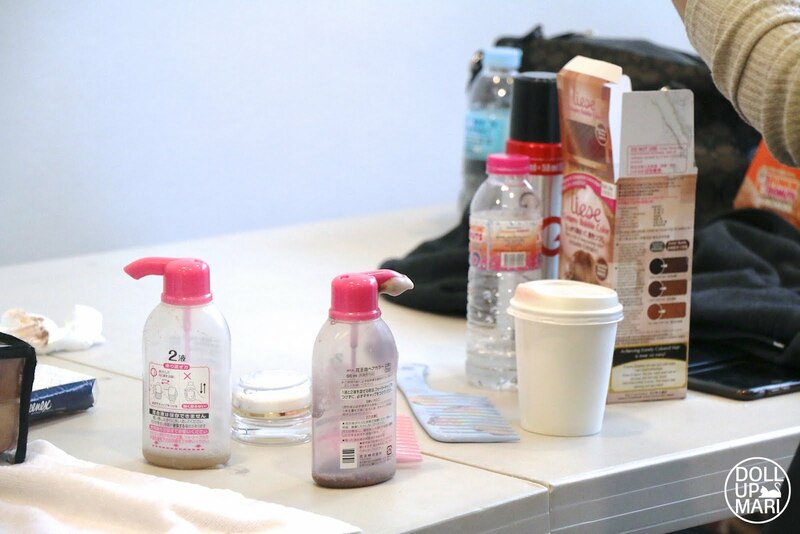 But of course the best embodiment of this is through their hair dye because we all know that doing hair color by ourselves can get very tricky. There is an eternal issue of not being able to see the back part of the head, and the other issue of not applying enough product to coat the strands that the dye job produces uneven results. The special thing about Liese hair dye is that it's a creamy foam type hair color that can dye hair from root to hair tip evenly and beautifully without any troublesome techniques. There's no need to get a watchdog to look at your nape while you're dyeing, and no need for mirrors and all those stuff because their foam formula means that the formula is able to coat your hair strands easily and evenly so that you can get an even dye job without having to make special arrangements. My cousin's girlfriend in China revealed to us that she gets help from my cousin in dyeing her hair because she uses a cream type dye and it can get very hard to get even results, more so that she has hip length hair! So yes, the struggle is real! So they now call on the three models for the day. 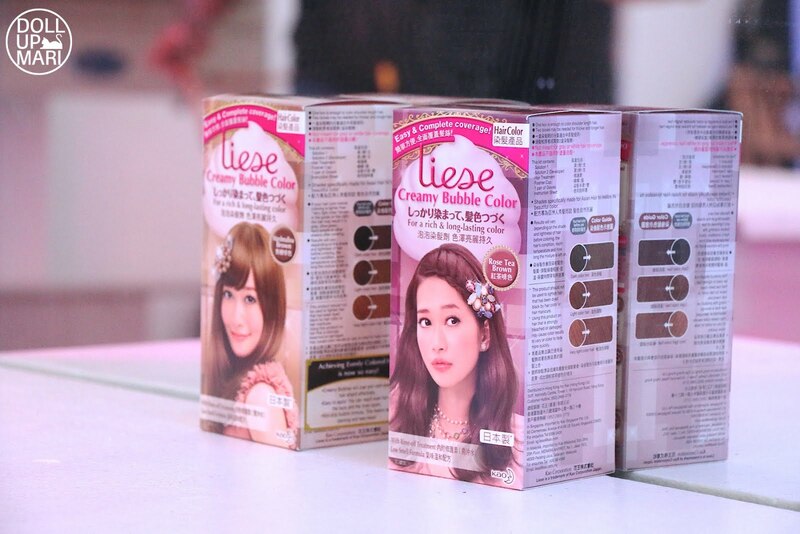 They each open a box of their desired hair color and apply the hair foam in front of everyone! While everyone is treated to a delicious lunch, our models are relaxing backstage as their hair color is in use. There is no need for a shower cap whatsoever because the hair color is a structured foam that can stay put on its own. You simply need to "play" with your hair and make all of them bunched up like a Troll doll or a cat or Maleficent or whatever imaginary character you wish to emulate for like half an hour. As you can see, the models are simply chatting, browsing their phones and having a chill time. They applied this by themselves and didn't need to have people monitor their hair, even the back part. They happen to just have a lot of people around them as a lot of other people are also interested to see their progress. So this is the bottle in itself. This is its own kind of packaging because it's not the usual comb type nozzle that other brands have. Since this is a foam type dye, they have a nozzle that caters to dispensing foam. An added safety bonus is that since this bottle dispenses foam, you do not need to direct the nozzle onto your head and you can massage it in a controlled manner slowly but surely. This prevents the risk of accidentally squirting product on areas where the dye is not intended for. And yes, while the models' dye jobs are ongoing, they had a bag design contest ongoing as well! 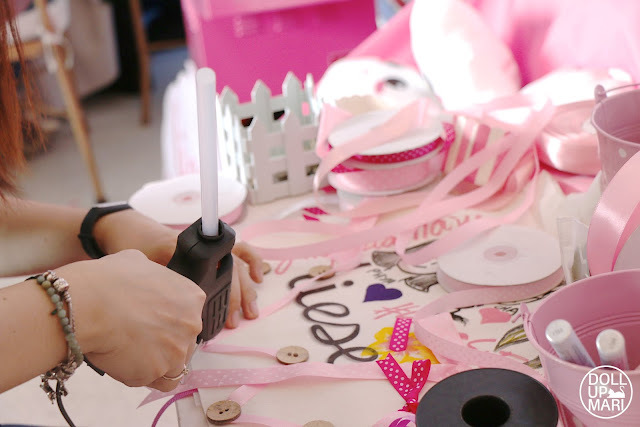 They had a bag design station for people to get buttons, ribbons, and special markers for designing their bags. 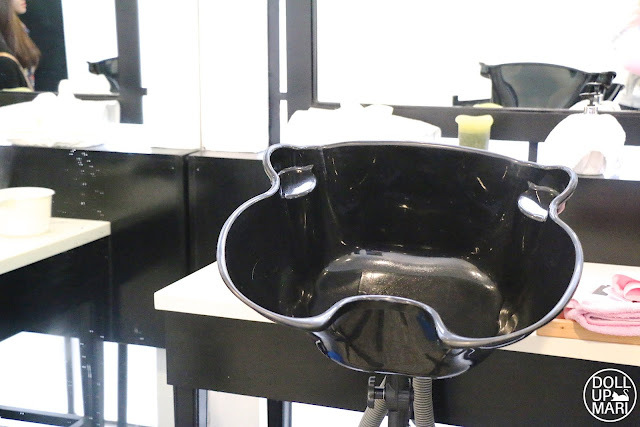 One thing I wish I also had at home are these portable salon hair washing stations! I normally have to end up taking a bath after a dye job even if I don't need a bath because we have no way at home to just wash the dye off. And this is them finally after getting the dye washed off! They're getting assistance in drying their hair as they prepare for the grand reveal. And wee, this is how they look like after! I know it is not very obvious if you compare this to before, but the first model has less brassy and more evenly colored hair, the second model now has chestnut brown hair from black hair, and the third one now also has rich chocolate brown hair from black hair. In real life it's much more obvious that their overall look has changed to make them look more professional. I think this resonates a lot with the first model because brassy hair really just doesn't look nice, especially in a professional setting. Everyone is of course excited with their new hair color! The girls are happy that since these colors are now available here, it's easy to buy the product so they can re-do the dye job at home. 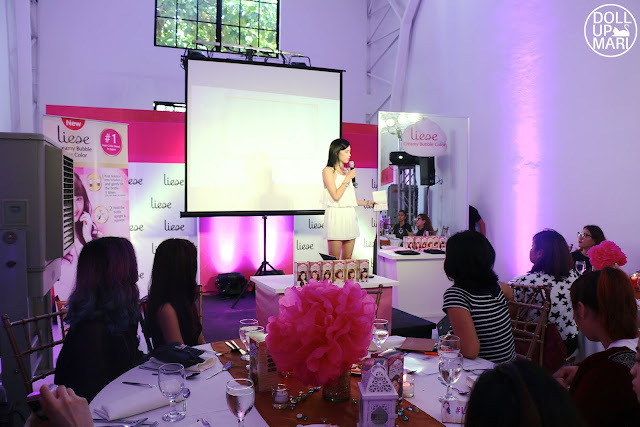 Each box will be at Php449 and will be available in select outlets for now. I'm sure they are eyeing a nationwide expansion so watch out!